I quilted this baby quilt this week. 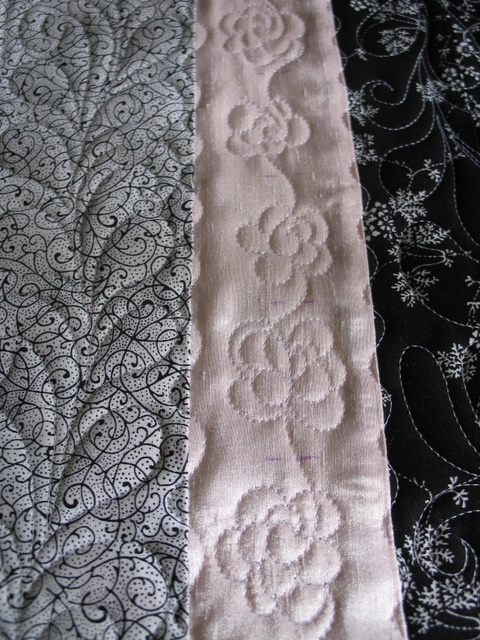 All of the fabrics are black and white except for the center squares of each block and the inside border which is a very light pink polyester that looks like silk dupioni. I’ve never thought of a baby quilt as elegant but this one surely is! Perfect quilting for it. This is lovely, and so unusual. Someone has really good taste! 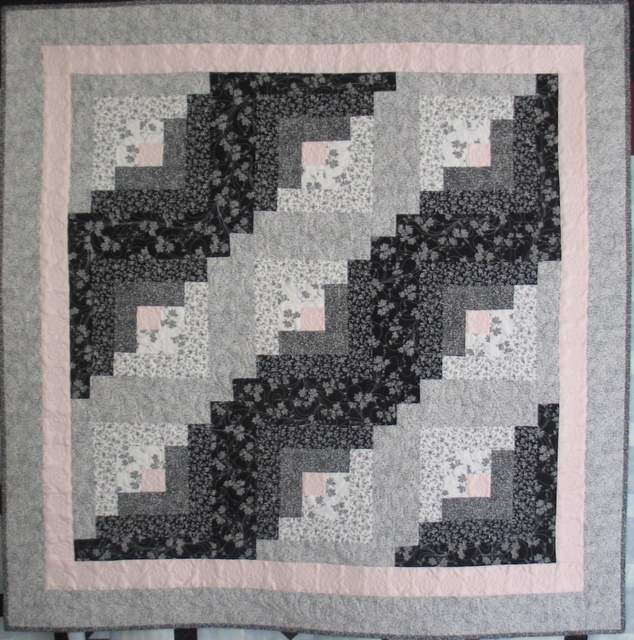 Love the flower chain in the pink complements the overall quilt nicely. Oh, Deb! Lovely quilting job. This IS elegant as another commenter said. I love the details. Perfectly wonderful quilting. I can only aspire to where you are at. 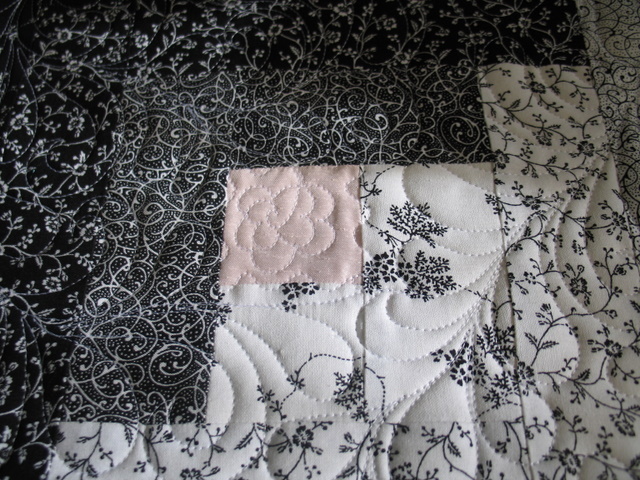 I just love the flower quilting in the border – beautiful! I am a NEW quilter. Actually all that I have done is taken 2 clases, made a few tops, taken 1 long-arm class, practiced on the long arm once…and met DEB! She is amazing. This is a top that I made for a precious little girl whoses grandmother decorated the nursery in B&W with a touch of the pale pink silk…..it is elegant! I wanted to used the log cabin pattern because of its history and story, but I needed to have a comtemporary look. I loved the top when it was finished, but I never realized what DEB could do with her extreme talent………the small, but oh so significant flower detail just made the quilt. I left it all to her…and she made it a master piece. Thank you so much Deb! Very unusual colors for a baby quilt, but I like it. You did a lovely job. Must be one contemporary, hip baby…good job!